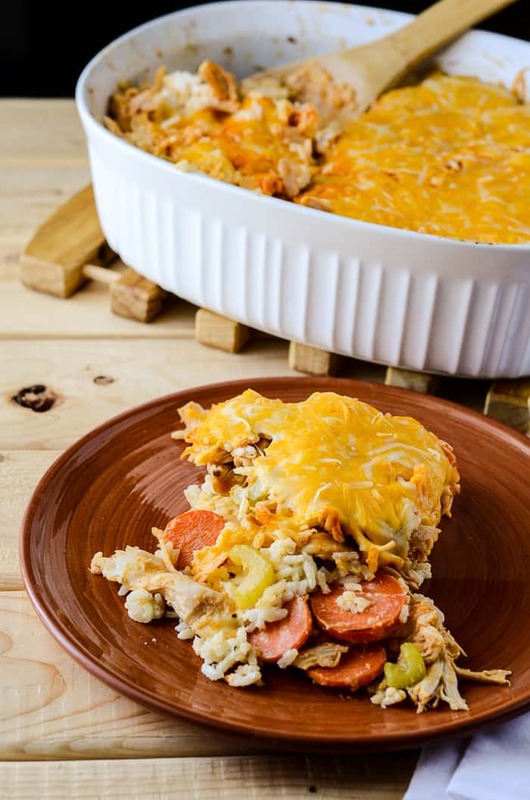 Buffalo Wing Casserole – the beloved bar food in a casserole? Say it ain’t so! Well, this is the ultimate lazy meal for you! Yep. I took everything I knew about casseroles and Buffalo wings, and came up with this hot mess. 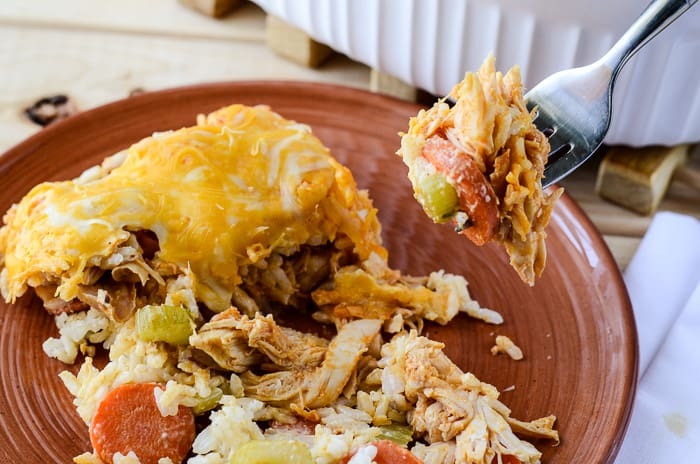 Wanna find out how to make my Buffalo Wing Casserole? Hop over to The Speckled Palate, where I’m sharing this delicious concoction today! And while you’re there, be sure to leave love and congrats on her new little bundle of joy! You are speaking my LANGUAGE!! Headed over to check out the recipe! This looks SO good! 🙂 When I was pregnant with my daughter, I had horrible nausea for months, and (oddly) the only thing that I wanted to eat was buffalo chicken. My daughter’s almost 2 now, but I still LOVE buffalo chicken just as much. Checking out this recipe! Oh that cheese topped on top of that chicken looks fantastic! I need to try this but will cut the carrot much smaller so I don’t scare my husband. This looks amazing and so full of flavor! I make a hot wing dip that always disappears at parties. That makes me think this would disappear at dinnertime! Girl, I hope you saved me some of this! PS I’m missing my gym buddy dearly. This is something my family would love to have.